In which G.M. 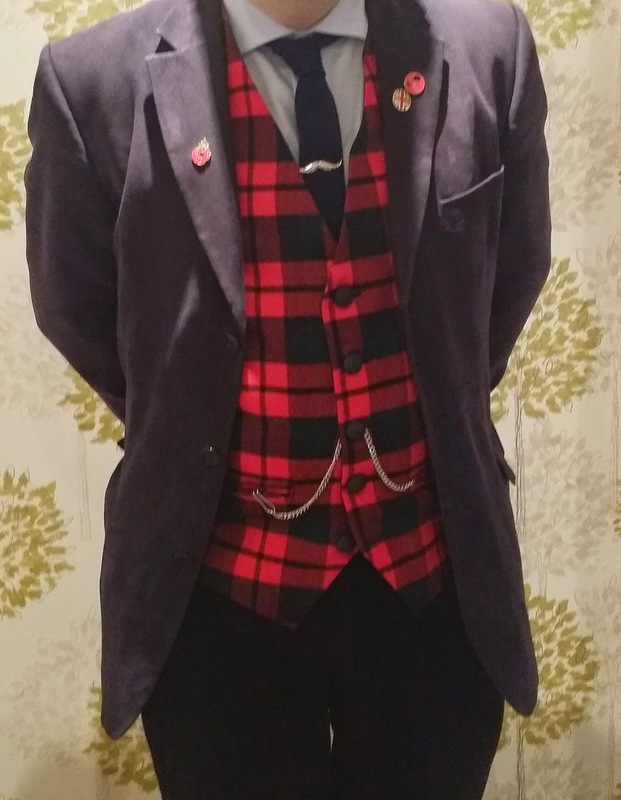 Norton reveals his new tartan waistcoat. I was recently alerted to the talents of Jules, the Waistcoat Lady of Wales. 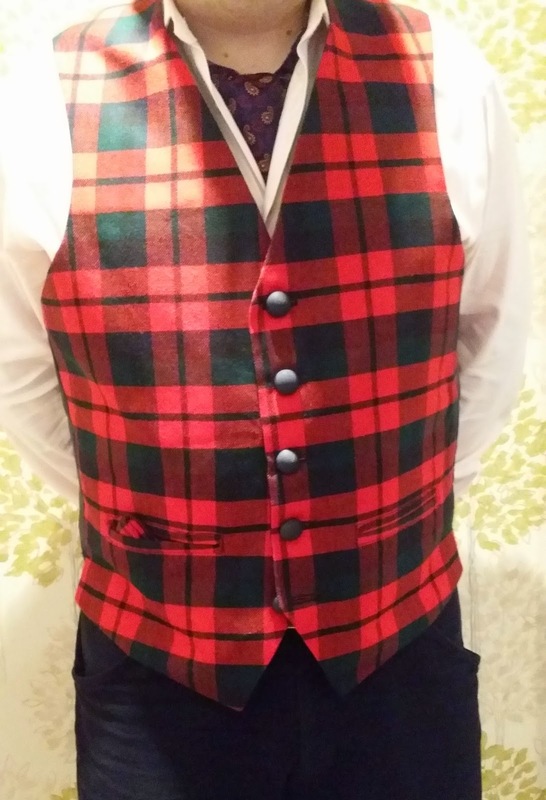 When I got wind of Jules making a waistcoat for my chum, it was only a matter of time before I’d contacted her and commissioned my own. I ordered a metre of fabric and sent this to Jules, along with one of my waistcoats to use as a size guide and thirty English pounds. If you are confident supplying your measurements, you can also do this if you’d prefer this method, especially if you’re a waistcoat virgin. Jules then supplies the silk backing, along with buttons, fastenings and return postage. An absolute snip, I'm sure you'll agree! When you are faced with the decision of having your very own waistcoat custom-made for you, it suddenly becomes terribly difficult to decide which fabric to plump for. After endless hours scouring the World Wide Web, I finally decided to go for a MacNaughton tartan featuring hues of green, red and blue. 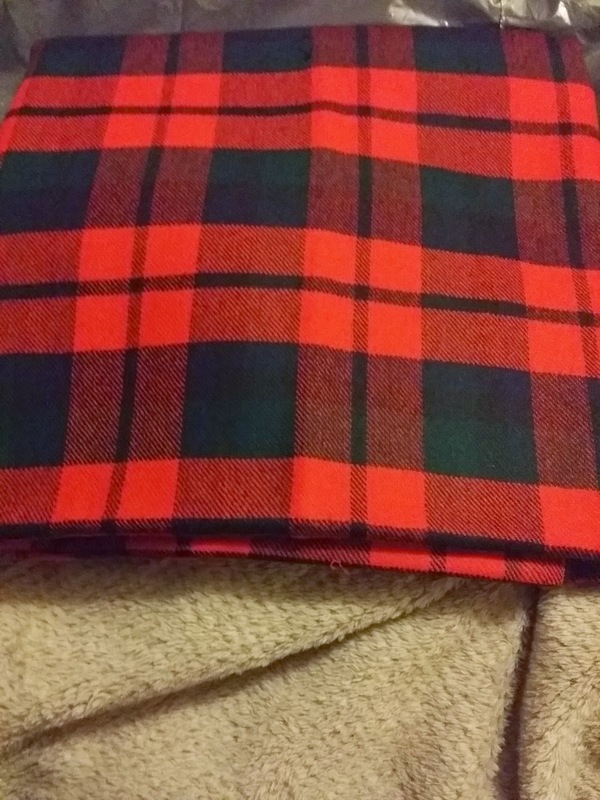 I ordered the tartan fabric from Messrs E&Bay. Upon its arrival, I sent it off my parcel to Jules, along with a hand-written note and waited. Shortly afterwards, I was sent a few pictorials of the transformation from fabric to waistcoat, along with a query on the pressing subject of buttons. Confirming my approval, a few days later and my waistcoat arrived through the post. I must say, I’m really rather taken with it! I simply adore wearing it and the quality of finish is most impressive. What's more, Jules is an absolute pleasure to deal with, offering a truly first class service. I am enormously grateful to her for making my little tartan number. If you’d like your very own custom-made waistcoat, contact Jules through her Facebook page or send her a missive at juliegwyer@sky.com.